Independent Bookshop Week, 2016. | Almost Amazing Grace. I'm taking part in IBW 2016! Oh, all the emails and Twitter alerts about this week have delighted and excited me so. I thought I'd bring it to the blog by doing a post under the IBW Tag that Books Are My Bag launched...bring on the bookishness! I have just finished reading 'Songs About A Girl' by Chris Russell which I read while en route to work on the train - this guy knows his stuff when it comes to boy bands! I cruised delightedly through the story, it's positively delicious. 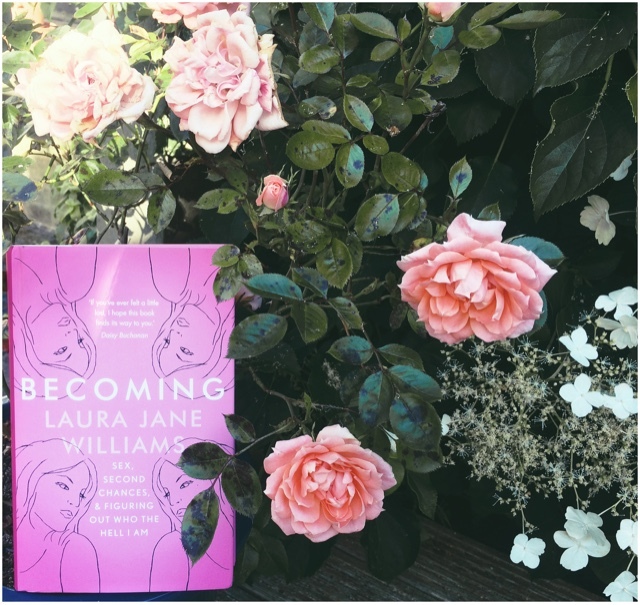 I was beyond delighted to receive 'Becoming' by Laura Jane Williams in the post the other day from my pals at Hodder. In just two days that book has become a talisman of sorts, I'm carrying it everywhere, because she gets it. 2. What's the last great book you read? I just finished my proof copy of 'Paper Butterflies' by Lisa Heathfield. It was the first book I'd read in a long while that made me feel everything - it tore me apart and built me back up. Then tore me apart again. I hardly ever cry when reading these days, and yet for the last few chapters of this exquisite novel I was gulping air and hysterically crying that weirdly sounded like wet giggling. I am not selling this right, am I? Trust me guys, it's special. More coherent little review to come. 'How To Be A Woman' by Caitlin Moran, 'Reasons To Stay Alive' by Matt Haig and 'The Time Traveller's Wife' by Audrey Niffenegger. 4. What's your favourite independent bookshop? Battle Books, obviously. My quaint little home town's main source of entertainment. I also adore Wenlock Books in Shropshire. They interviewed me once! 5. What's been your favourite book recommended by a bookseller (or fellow Booktuber/Book blogger)? My bookseller friend Jo (@Jo_Scribbles) sent me several proofs a while back which I am still making my way through. Amy (@acharlottew) did the same - I recently read the copy of 'The Square Root of Summer' she sent me! My Booktuber and general genius book human pal Stevie (@steviefinegan) recommended I try 'Slave To Sensation' from the 'PSY: Changeling' series as it is similar to my guilty pleasure, the Sookie Stackhouse novels. My book blogger friends are constantly recommending me amazing books, I cannot keep up! 6. What's your favourite bookshop memory? Maybe when I went to buy Patrick Ness' 'The Rest of Us Just Live Here' in Foyles and realised it was half price AND signed...then the same thing happened not long after in Waterstones when I bought Dawn O'Porter's 'Goose' and saw her signature smile at me inside the front cover...gosh, I just love signed books. 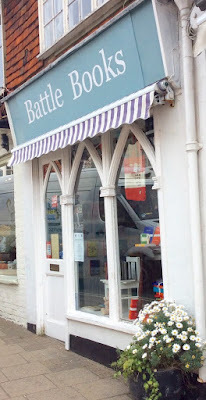 Perhaps when I first got lost in the magic of Camilla's Bookshop in Eastbourne, with its three floors of books rammed in every which way and stacked sky high. Or the truly awesome feeling of walking into my local bookstore armed with a gift card. That's always epic. Every day, I am thankful that bookshops exist. They make me endlessly happy. I feel at home in a bookshop. I always find something or someone new. I always leave smiling - and often with a very full tote bag, my purse a few pounds lighter. I wrote a post a while back about 5 books that changed my life (in one way or another), and then later on 5 important books that were introduced to me through school. I find something in every book I read, be it good or bad, that contributes to my writing and my life in some way! 9. What book do you recommend readers gift for Father's Day? My dad doesn't read all that much, only on the train to and from work, maybe, and just before bed. He loved 'Shantaram', the amazing novel by Gregory David Roberts. We got him the 'Norwegian Wood' non-fiction by Lars Mytting for Christmas, and he was fascinated by that it seems! He also is currently reading my copy of 'The Perks of Being A Wallflower' and liking it a whole lot. I'd suggest something gripping that will take the dads' minds away from their daily lives and stresses. Or maybe a 'coffee table book', easily picked up and dropped when need be. 'The Versions of Us' by Laura Barnett. & SO MANY MORE, HELP ME. THE TBR IS NEVER ENDING.